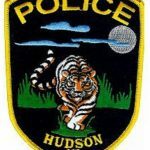 A two vehicle crash on Tuesday morning in the City of Hudson sent two people to the hospital, where one of them passed away. At 06:46 am, the Hudson Police Department was dispatched to 500 East Main Street to the head-on crash. The Department reported that the Driver of a 2013 Ford Explorer, a 59-year-old from Jackson, was out of his vehicle when they arrived on scene, and had apparent minor injuries. The driver of the 2017 Chevy Cruz, 76-year-old Charles Phillips of Adrian, was still in his vehicle unresponsive. Both men were transported to Bixby Medical Center for treatment by Hudson Ambulance. Phillips passed away at the hospital. Cause of death will be determined by the Lenawee County Medical Examiner’s Office. At this point in the investigation, it appears that a medical health issue may have been a contributing factor for the crash, which is still under investigation. The Hudson Police Department was assisted by the Lenawee County Sheriff Department Accident Investigators at the scene.